This is something that I’ve been struggling with a lot lately. In the field in which I work I don’t get much of an opportunity to be creative. I have always been a creative person, whether it be drawing, painting, writing a poem now and again – I just find it incredibly relaxing to express myself in some way. So since I started this blog, I have had the opportunity to do so. I enjoy taking pictures and editing them the way I like, I enjoy writing and expressing myself through words, I enjoy being in control of my space and how I want it to look. This blog has been an outlet for me and it helps me release what ever I am feeling through the next post I create. I have always been rather good with computers. I am by no means an expert, but understanding computers comes easy to me. I did a computer applications subject in high school which I really enjoyed, so when I got to university my computer literacy skills was quite good. 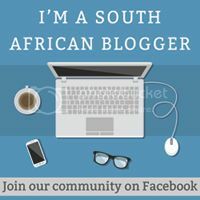 Blogging is a way for me to better my computer skills and also a way for me to brush up on what I have learnt through the years. I also get to improve my writing skills which I would like to use some day in the future when I find my lifes calling. I have stumbled upon some great blogs in the short amount of time that I’ve been blogging, and with that I have (virtually) met some great people. People who inspires me, who makes me think differently and people who teach me something new everyday. It is a weird and wonderful thing to get to know total strangers through the work they put out there, and it is even more wonderfully weird to find the inspiration you are looking for through this. Sometimes I need a bit of advice or I need to know how people dealt with an issue that I am currently facing; and it comforts me to know that I am not alone in my struggles. I absolutely love the feeling when I published a post and someone can relate to it. I love it when I receive thoughtful comments from people who just want to let me know that they liked something I wrote. It is a wonderful feeling to know that at least one person has read what I had to say and that it made an impression enough for them to take a minute out of their busy lives to leave a comment. I don’t have the luxury to pack my things and leave for an unforeseeable amount of time to travel the world in the name of finding myself. So blogging is it for me (for now). I get to explore different paths that I would not otherwise venture off into, and at the same time create a portfolio for myself for the future. I came to the realization recently, that I have not yet found my “passion” and maybe I have a passion for lots of things – this is a space for me to sort out the chaos inside my head in hopes of finding it. Thank you to every single person who took the time out of their busy lives to like or comment on a post. Thank you to the people who are following this blog, who are in a way sharing my journey as I attempt to find what it is that I want out of life. I appreciate it all and I hope that it continues to be my happy place that I can be proud of for years to come.